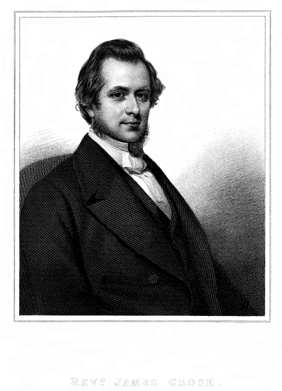 Researching the Grose family history in the Isle of Man leads us over to Cornwall where Mining Captain Matthew Grose (1819 – 1887) was born. His parents were Matthew Grose and Mary Vivian Wearn who married in Phillack, Cornwall on 6th June, 1809. He was baptised in Phillack, Cornwall on 19th March, 1819 and buried in Arbory, Isle of Man on 14th October, 1887.
Who was his father, (also called Captain Matthew Grose), born c1788 and buried in Marown, Isle of Man on 23rd June, 1849? It had always been a struggle to find a baptism record for him. Was there any family connection to Captain Samuel Grose (1791 – 1866), ‘the most scientific engineer in Cornwall’? 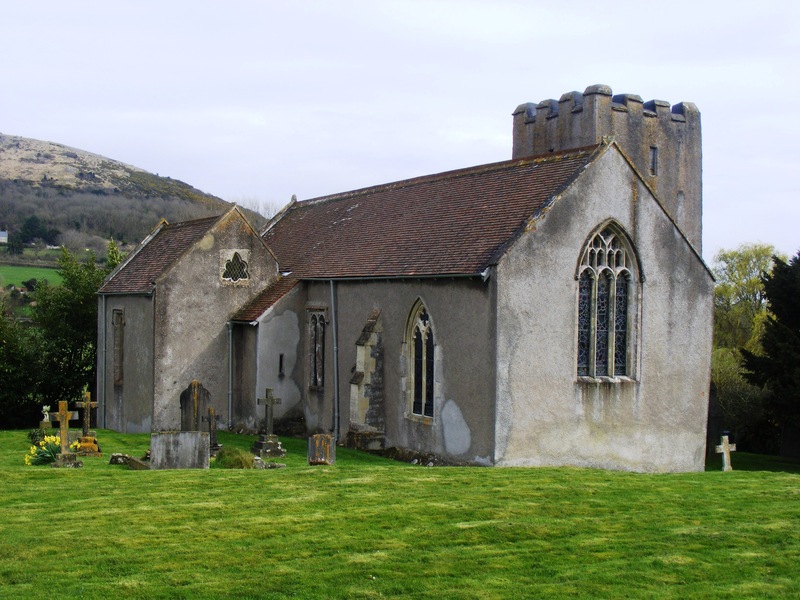 The breakthrough came from two baptism records written side-by-side from the parish church of St Andrew in LOXTON, Somerset! 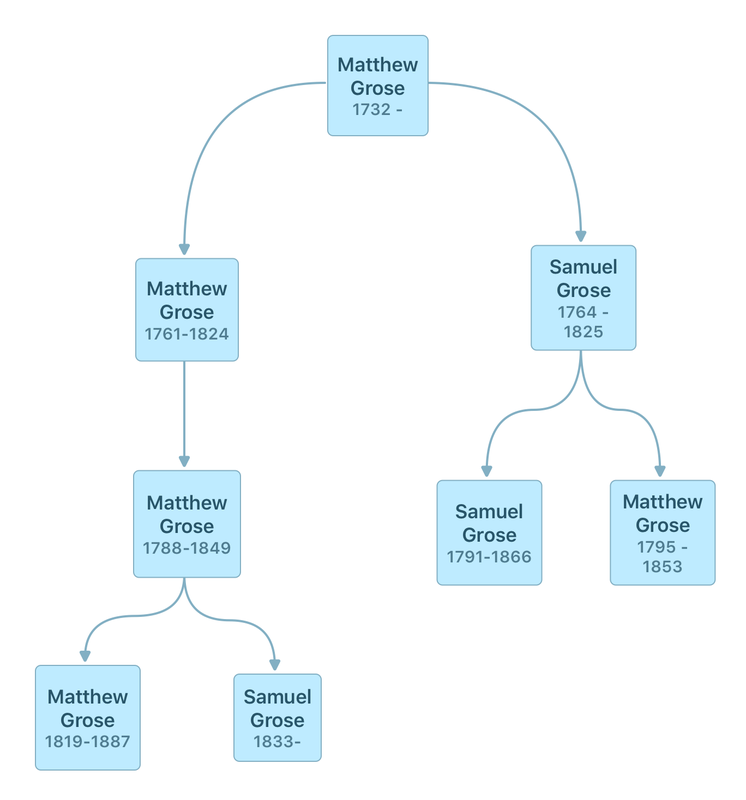 In the 1700s and 1800s, the names ‘Matthew Grose’ and ‘Samuel Grose’ appear many times. There were confusing connections between Redruth, Hayle, Phillack and Gwinear in Cornwall, Somerset, Halkyn in Flintshire and the Isle of Man. Time to attempt to work out ‘who was who’ and ‘what was what’. Let’s start with two other mining captains, also called Matthew and Samuel Grose – two brothers baptised at St Uny in Redruth in the 1760s. (They had other interesting siblings – to be discussed another time). These two brothers, Matthew and Samuel Grose worked as mine captains at Dodington in Somerset. Their parents were likely Matthew Grose (1732- ) and Mary Davey. Matthew Grose was baptised at St Uny, Redruth on 24th May, 1761. He married Jane/Jennifer Williams on 21st April, 1783 at St Uny, Redruth. Matthew baptised at St Andrew’s Church in Loxton Somerset in 1788. This is who married Mary Vivian Wearn in 1809. They migrated to the Isle of Man in the 1820s where he was a Mine Captain at Foxdale and Ballacorkish (Rushen) mines. He married his second wife, Mary Tregonning, in Flintshire in 1839. (His son was Captain Matthew Grose (1819 – 1887) who took over at Ballacorkish mines & also captain at others). John baptised in ? in 1793? Elizabeth baptised in Somerset in 1797? Wife of Obadiah Ash. Elizabeth (Eliza) baptised in Gwinear, Cornwall, 15th March 1807. Likely the second wife of Absalom Francis, married in Shropshire, 1837 and lived in Halkyn, Flintshire. This Matthew Grose, born 1760, was buried in Dodington, Somerset in 1824. Samuel Grose was baptised at St Uny, Redruth, 26th December 1764. Matthew baptised at All Saints church in Dodington, Somerset, 11th December 1795. Unmarried, copper miner/Mine Agent on censuses of 1841 and 1851 in Gwinear. Edward Giddy baptised in Nether Stowey, Holford, Somerset, 22nd November 1799 (&/or 28th Nov 1799 in Taunton, Somerset). Elizabeth Giddy baptised in Gwinear, 6th January 1805. James baptised in Gwinear, Cornwall, 25th February 1810. Wesleyan Methodist Minister. This Samuel Grose, born 1764, was buried in Gwinear in Cornwall in 1825. Mining Captains on the move! The baptism locations of their children all have links to the mining and engineering activities of the Grose family in Cornwall and Somerset. Boomed from the 1730s for tin and copper mining when steam engines were used to pump water out of deeper mines. Town grew rapidly in the late 18th century. Loxton Cavern was written about in ‘The Gentlemans Magazine’ in 1794. Cornish miners came to the caves in the 1790s where green veins were tested for copper. Upon assay they contained no copper and the venture was abandoned. The Cornish miners removed stalactites, possibly for sale or souvenirs. The Dodington estate was inherited by the Marquis of Buckingham in 1762. William Jenkin (a close associate of the Grose family) was the mine agent for the Marquis’s Cornish mines and developed mining on the Dodington estate. Copper was mined sporadically from the 1780s until 1801, but the mine closed when unable to raise capital to buy a steam pumping engine. Tom Poole’s business acumen and ‘the practical enthusiasm of Matthew Grose‘ the mine captain, lead to a steam pumping engine being installed and mining began again from 1817 until ceasing in 1821 after heavy losses. Gwinear lies two miles east of Hayle and there were many mines and engineering works in the area. Samuel Grose (1791-1866) designed the Cornish engine and some were built by Sandys Vivian and co. at the Copperhouse Foundry in Hayle. Note: Any errors or omissions in this post are unintentional and might be my mistakes, or transcription errors. Happy to review and update as additional information discovered and shared. Please contact if you can help. Captain Matthew Grose died 1887 was my greatx2 granddad, he died at Ballavayre Colby, I have a photo of him, & his cottage ballavayre. Found this on a Cornish genealogy site…Marriage registration document….Matthew Grose married Mary Davey on, 03/02/1754, at Redruth.no parents or other details given. Great. Will check this against my files – think they’re the parents that look most promising. Yes, that matches the date I’ve got. Would like more info on these pair. I’ve got some tentative info, but gets tricky as a quite a few Mary & Matthew Groses around that date/area.